Awesome location so central to everywhere we wanted to go. Fantastic views in every direction. Great outdoor & indoor pools. Well appointed & equipped kitchen meant we didn't have to eat out all the time. Could sleep with balcony doors open if you wanted to hear the ocean or closed for a quite nights sleep. Would glady stay again & highly recommend to others. The sub penthouse was amazing spacious and a beautiful view! The staff were so friendly and helpful! Would recommend 2nd Avenue to all! Pillows were quite flat. Usually I take my own pillow for this reason but this time I couldn't fit it in my luggage. Apart from that all good. Thank you. We enjoyed our stay. I like the location of the apartment, and the fact that it is easy walking to all the cafes, shops and close to the train station, bus stops and the best one is just a hop and a skip away from the beach! It is very quiet as well and all the staff are very friendly, always with a smile and very helpful. My daughter and I were there for a Uni/ open day in Brisbane but chose to stay there and travel up to Brisbane and am glad that we did that as at the end of the day it was so lovely to just go back to our apartment and sit on the balcony to watch the sun set!!!. Thanks. This is our second stay at this property and we wouldn't stay anywhere else. Fantastic location, facilities and cleanliness. The kids love the indoor pool, spa and the PlayStation to relax at night. Love being right on the beach and so close to all of Burleigh's eateries and shops. Our room was very clean and well appointed. Thank you again for a wonderful family holiday! Gret place to stay, beautiful views from all rooms and great neighbourhood to be in. The view of the apartment is stunning. Free car parking is excellent. View was amazing from the 29th floor. Location was perfect. Receptionists was lovely. Great view. Indoor pool was a lifesaver for the kids when it was raining. Overall good value. 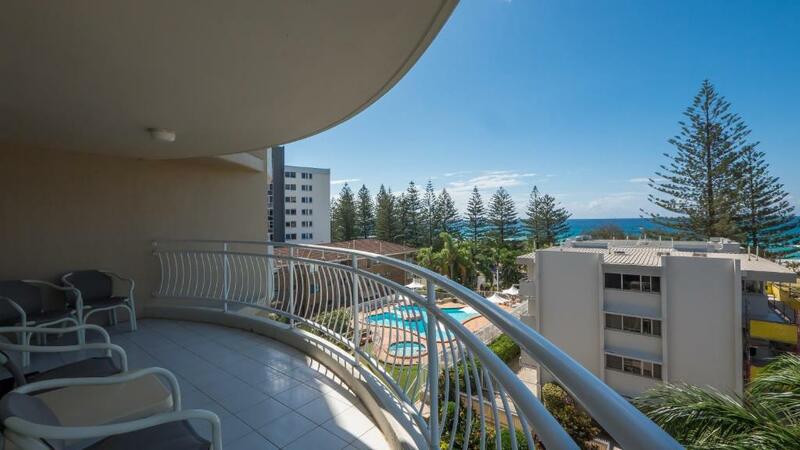 Lock in a great price for 2nd Avenue Beachside Apartments – rated 8.8 by recent guests! 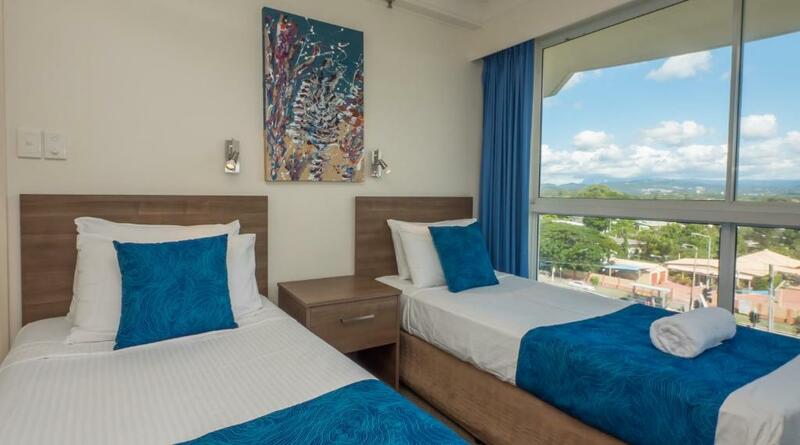 2nd Avenue Beachside Apartments This rating is a reflection of how the property compares to the industry standard when it comes to price, facilities and services available. It's based on a self-evaluation by the property. Use this rating to help choose your stay! One of our top picks in Gold Coast.Just 150 feet from Burleigh Heads Beach, 2nd Avenue Apartments offers accommodations with a spa bath, a private balcony and stunning ocean views. The property features 2 swimming pools, a tennis court, a steam room and free WiFi. Laundry facilities and a full kitchen with a dishwasher and microwave are standard in all apartments. 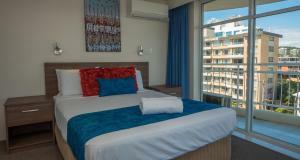 Each air-conditioned apartment has flat-screen cable TV, a DVD player, a PlayStation 3 console. 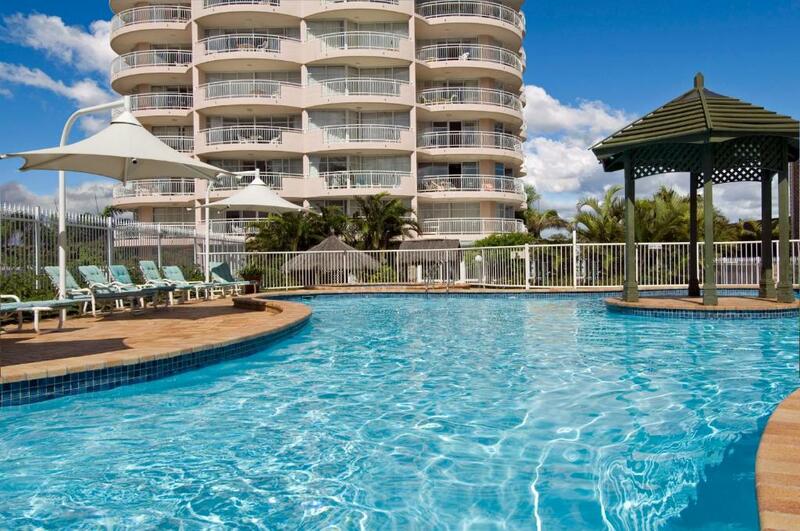 2nd Avenue Beachside Apartments are 10 minutes’ drive from Jupiters Casino. Surfers Paradise and Gold Coast Airport are each 15 minutes' drive away. Warner Bros. Movie World is 30 minutes' drive away. Guests can relax in the hot tub, or enjoy a meal in one of 3 barbecue areas set in landscaped gardens. Free secure parking is available on site. Burleigh Heads is a great choice for travelers interested in warm weather, beaches and sandy beaches. 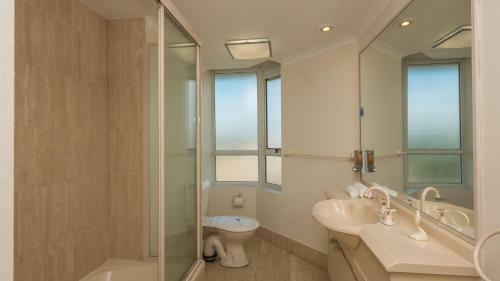 When would you like to stay at 2nd Avenue Beachside Apartments? This air-conditioned apartment features a spa tub, a private balcony, stunning ocean views and full kitchen and laundry facilities. 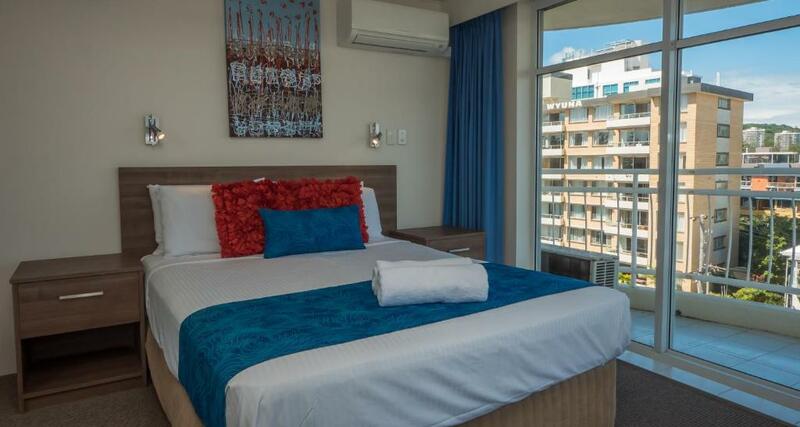 This renovated, air-conditioned apartment features a spa tub, a private balcony, stunning ocean views, 2 bathrooms, and full kitchen and laundry facilities. 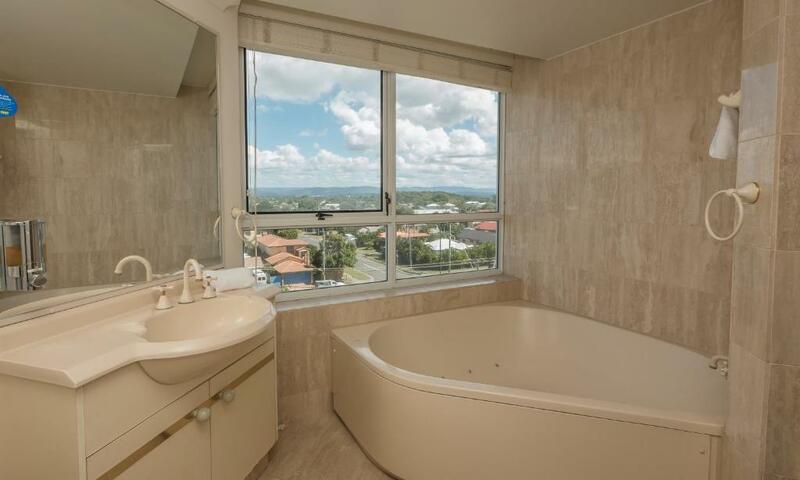 On the highest floors, this air-conditioned apartment features a spa tub, a private balcony, stunning ocean views, 2 bathrooms, and full kitchen and laundry facilities. This air-conditioned apartment features a private balcony, stunning ocean views, 2 bathrooms, and full kitchen and laundry facilities. On the 25th floor or higher, these apartments feature 3 bedrooms and 2 bathrooms, modern furnishings throughout and a luxurious spa tub. There are widescreen high-definition LCD TVs in the main living area and in the master bedroom, along with a PlayStation 3 games console. This luxurious penthouse features a private roof-top pool, a sauna and spa tub. This apartment encompasses an entire level and enjoys complete privacy. Located just moments from the sand, our spacious, modern apartments come with free WiFi access, full kitchens, and private, wrap-around balconies with stunning ocean views. Enjoy a game of tennis on the full-size court, detoxify in the sauna or simply kick back by one of our two inviting pools and forget the world. Burleigh Heads has it all on your doorstep – from serene green to golden sands with spectacular mountain views. Our world famous, patrolled beach beckons you to bask in the sun year round; dip in the warm Pacific ocean or revel in the renowned surf break at the headlands, locally known as “The Point” – a favourite for spectators soaking up the scenery. Burleigh Heads is considered one of the most beautiful breaks in the world. Area Info – This neighborhood is a great choice for travelers interested in warm weather, beaches and sandy beaches – Check location Excellent location – show map Guests loved walking around the neighborhood! 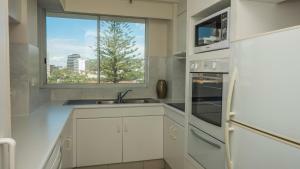 House Rules 2nd Avenue Beachside Apartments takes special requests – add in the next step! A AUD500 damage deposit is required on arrival (around USD359.02). This deposit will be fully refunded 14 days after check-out, as long as there isn't any damage to the property. 2nd Avenue Beachside Apartments accepts these cards and reserves the right to temporarily hold an amount prior to arrival. Please note for bookings of 4 or more rooms, different policies and procedures may apply. For further information please contact the property in advance, using the contact details found on the booking confirmation. Please inform 2nd Avenue Beachside Apartments of your expected arrival time in advance. You can use the Special Requests box when booking, or contact the property directly using the contact details in your confirmation. A damage deposit of AUD 500 is required on arrival. That's about 359.02USD. This will be collected by credit card. You should be reimbursed within 14 days of check-out. Your deposit will be refunded in full by credit card, subject to an inspection of the property. All drawers in main bathroom broken and unable to be opened. Also some in second bedroom. Serious marks on wall in dining area and whole apartment generally in need of new paint and update. Was supposed to be a sofa bed in the one i booked but it was a normal couch. Fantastic location, great pools and close to the beach. Also convenient to James Street restaurants and shops. No air conditioning in bedrooms just ceiling fans. Air conditioner in living area Only. Street noise from highway. The property was old and tired, very dirty, some facilities were broken. Management were extremely rude and very unhelpful. Leather lounges in this hot/humid climate do not really work. No aircon in the 2nd bedroom with a window impossible to open. Both bedrooms did have ceiling fans though. Very good location with beach across the road. Easy walk to all the “action” Two very good pools. We both thought it was good value for the money we spent. gardener was grumpy and actually had a go at us (including our kids) for washing sand off our feet at the "wrong" hose. Even though the hose was right next to the gate leading from the beach. CLean, roomy, still a bit 1980's in the bathrooms even in the superior rooms. The beds were really hard, made it a bit uncomfortable to sleep on. On the other hand the couches were really comfortable. The view and the location were awesome. Farmers market straight across the road on weekends and only a short walk to the beach and all restaurants and bars. Staff were extremely helpful and friendly. The rooms were very clean with plenty of space to put all your things and the kitchenette had everything you needed.